Get $53 Off When You Schedule Online! The lady that took my request was very pleasant. The technician was extremely professional, courteous, efficient, and friendly. James, I wanted to let you how much we appreciate the time and effort you spent with us explaining and answering questions about our new A/C installation. A Heating and Air Conditioning Company serving Brandon & Surrounding Areas in Central Mississippi. Not all heating and air conditioning contractors are alike. 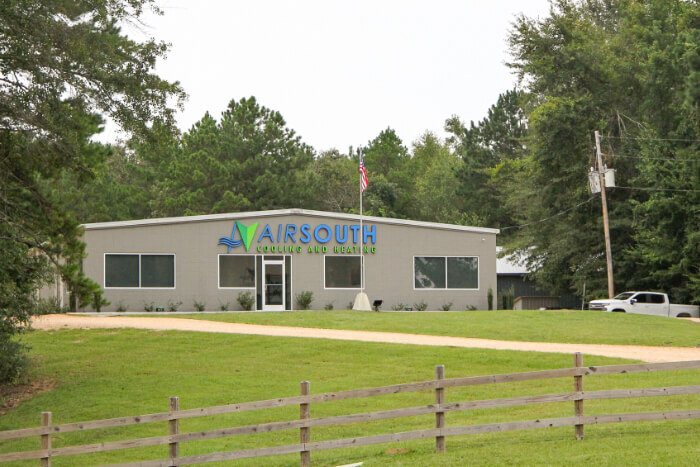 AirSouth Cooling and Heating stands apart in serving Brandon, MS and the Central Mississippi area because we believe in building great relationships with our customers. We aren’t just here to “fix it and forget it.” We’re in this for your comfort and satisfaction. We offer more than full installations, replacements, repairs, and maintenance for all heating and cooling systems. We provide 24/7 emergency service, free second opinions, and free consultations. Our service professionals are EPA and NATE-certified so you know you’ll receive quality on every job. We’re accredited with the Better Business Bureau and licensed, bonded, and insured to protect our customers. We guarantee all of our work through our Golden Guarantees. These include a One Year “Test Drive” Guarantee—if you aren’t satisfied with an installation at any time during the first year and we can’t repair it, we’ll refund 100% of your original investment—and our Workmanship Guarantee—if you feel any job wasn’t done to our high standards, we’ll refund the portion of the purchase price you think is fair and reasonable. We also guarantee your satisfaction, your time, and your safety. Learn more about our guarantees. Think of us first when you need comfort service—and you’ll come out ahead! Looking for Something Specific? Start Here! Quiz Time: Do You Need AC Maintenance? Haven’t Changed Your Air Filter Yet? Now’s a Good Time!